© 2017 Jaxinto. Powered by Blogger. 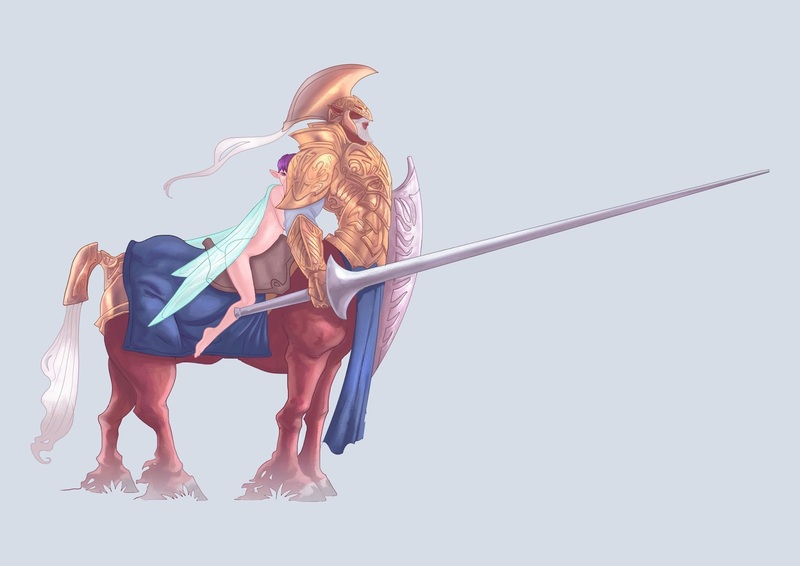 “Los cuentos de hadas nacieron en tiempos turbulentos, en tiempos complicados – cuando la esperanza parecía perdida. 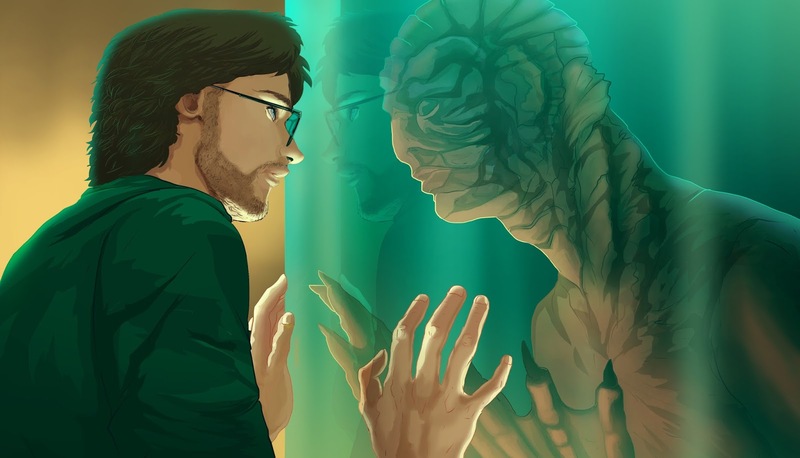 Hice The Shape of Water como un antídoto al cinismo. Me parece que cuando hablamos de amor –cuando creemos en el amor– lo hacemos de manera desesperanzada. Tememos parecer ingenuos o incluso deshonestos. Pero el Amor es real –absolutamente real– y, como el agua, es la más gentil y más poderosa fuerza en el Universo. Es libre e informe hasta que llega a su recipiente, hasta que lo dejamos entrar. Nuestros ojos son ciegos, pero nuestra alma no lo es. Reconoce el amor en cualquier forma que llegue a nosotros”. Aquí un pequeño reconocimiento a esta película, iba a escribir "homenaje" pero creo que es demasiado pretencioso. In this piece titled "Golden Keeper", I´m trying to mix two of my big passions: fantasy and gay-themed illustration. Also, I keep trying to develop a cleaner inking and a softer color scheme. 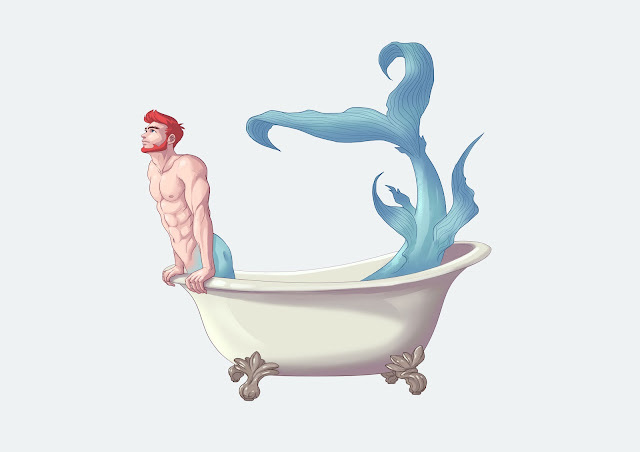 I barely understand the fascination that the gay culture has for the mermen, but here I am trying to make my contribution. Who would say that I will have a great time drawing and painting this piece? Lo ultimo que pude ver fue el perfilado rostro de Apolo con una expresión que nunca le había visto. A través de sus ojos podía ver sentimientos indescriptibles. Una mezcla entre amor, tristeza, melancolía, miedo, terror, incluso alivio. Nadie me había mirado así antes. Era increíble como esa mirada comprobaba mi existencia. Más que adoración al fin alguien notaba que era una pieza parte de este mundo. Era el inicio de mi vida en los recuerdos de alguien al mismo tiempo que podía unirme con la tierra al ser de nuevo la flor de Jacinto. There are so many things I would like to write about this illustration, but many of them are just abstract thoughts and emotions... 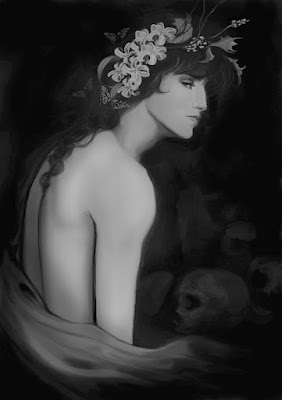 I made this in a very dark time of my short life... Just after a love delusion, I remember having this deep pain in my arm that didn´t allow me to paint properly. The strange thing this was a commission for Minus Zero Production, they asked me to draw a love between two androids, somehow I manage to portrait the despair and pain of the moment. The digital painting was not very polish because the tremendous pain in my arm. I cherish this illustration as a reminder that no one dies of love. If your answer is "yes" you can´t miss this new books series about one of the beloved and feared creatures of the nigh: the vampires... The name of the complete saga is "Criaturas de la media Noche" written by my talented friend Luis Centeno. 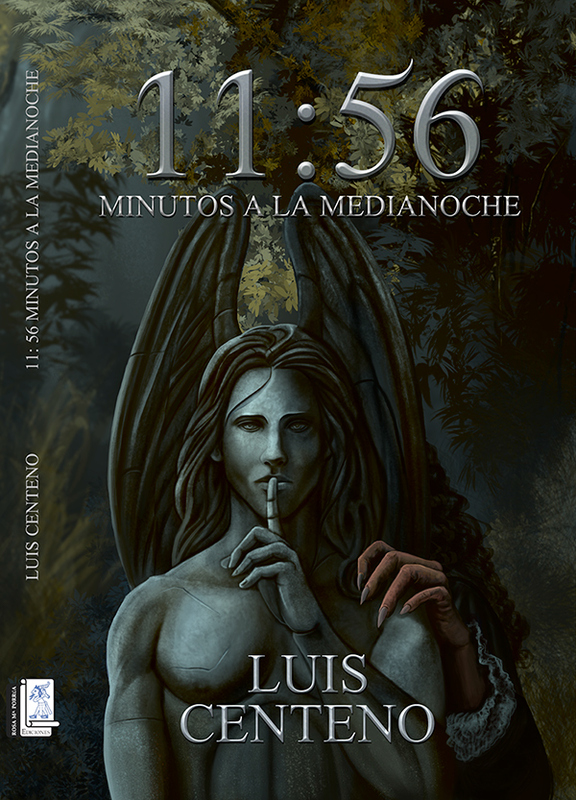 He give me the great task of illustrate the cover of the first episode "11:56 minutos a la media noche". 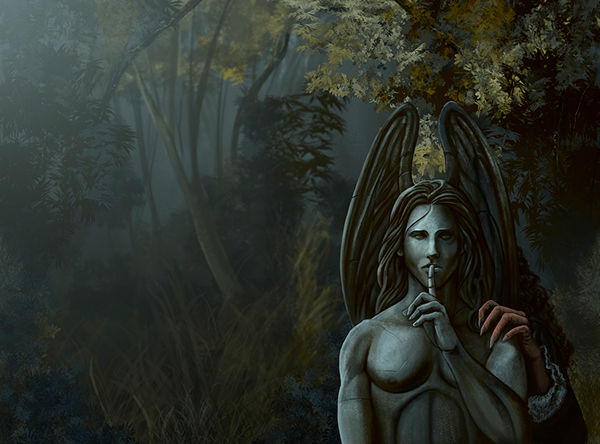 We spent many nights looking for the perfect look for this digital painting, it shows a scene that you can read later in the book. He want to portrait intrigue, mistery and elegance. 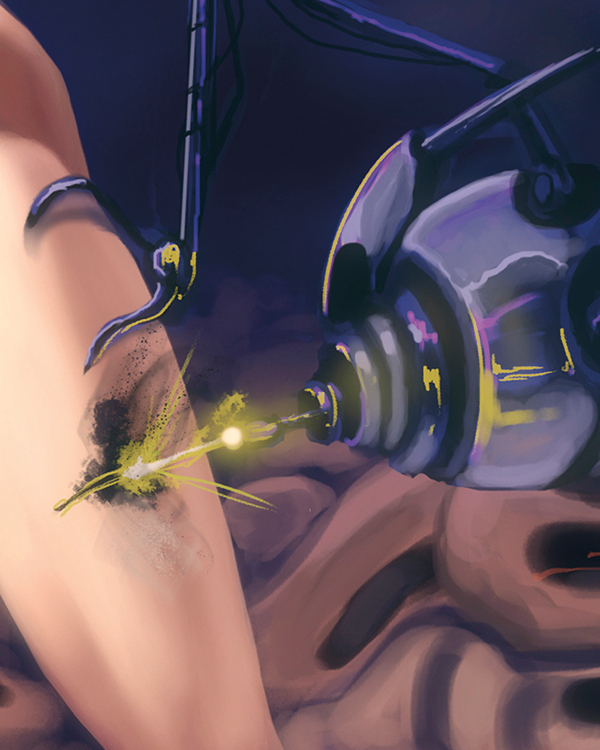 The most difficult part of the illustration, was the color scheme and the lighting of the atmosphere, very neutral and dark. 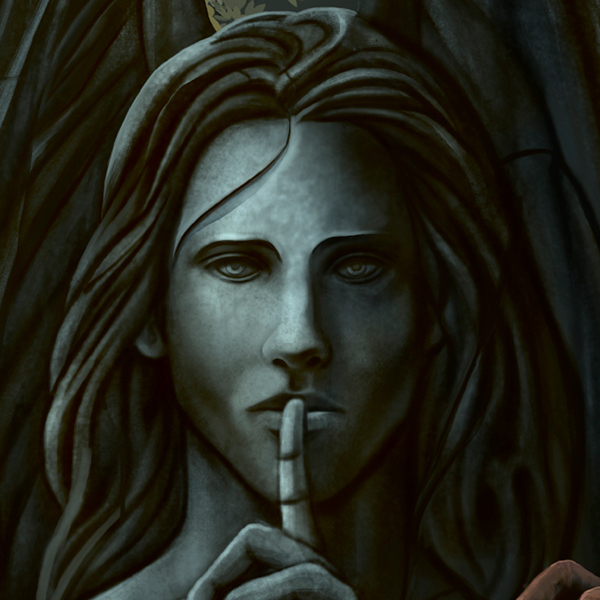 Also the stone texture of the angel statue was a challenge. Unfortunately something happen in the press and the colors were awfully printed :(. If you like to now more about the series follow the Facebook page here. 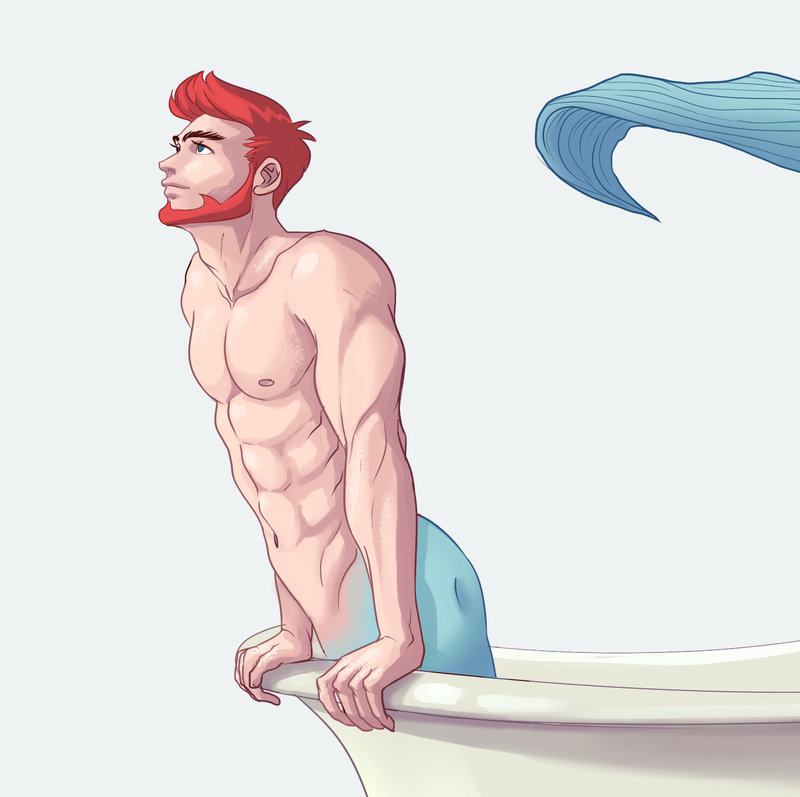 Also if you want to buy the book, you can do it here. ¡Dame el poder de vivir por siempre! ¿Quieres ser eterno o prefieres morir ahora? Este libro narra la historia de Santiago, un joven apuesto de 24 años que es convertido en vampiro y su incursión en este atractivo mundo lleno de placeres, poder, aventura y crimen. Esta confesión vampírica refiere los primeros meses de su vida como un ser inmortal y su transformación a un sediento bebedor de sangre víctima de sus pasiones. La aterradora confesión de un joven que sin sospecharlo atrajo hacia él a uno de los vampiros más poderosos y bellos del mundo, debido a su fascinación por lo sobrenatural, provocando con ello la muerte de su naturaleza humana para despertar después convertido en un vampiro y ser parte de la atrayente vida de los inmortales, aunque después haya tenido que afrontar las consecuencias al ser víctima de sus pasiones desenfrenadas cuando liega a Londres y conoce a Sofía Villiers, la bella joven de los Ojos color miel que se convierte en su mayor tormento hasta el momento. 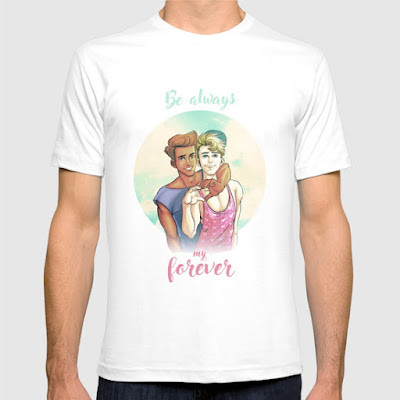 Also, this illustrations is available in T-shirts and other kind of products in my Society6 Shop. Hi guys! How have you been?! Things has gone crazy in my world these days, well, these years to be more accurate... but anyway, I´m glad that more people keep entering to my blog. It´s surprising to see that people from places very far away from where I live like Russia are keeping up with my blog. To all the Gay Russian Community I sent a big big biiiiig hug! and you are in my prayers people... wishing all the best and things can change for good to all the fantastic gay community in Russia. 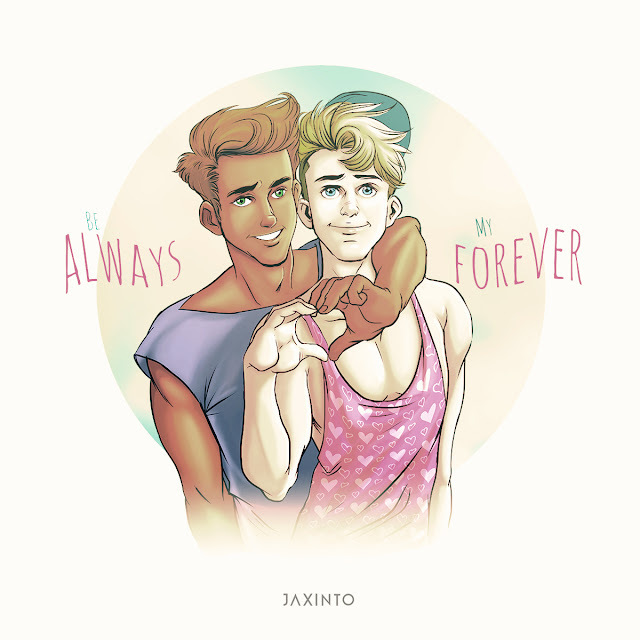 It has passed a lot since I don´t post a thing, for you who don´t know me (and I belive is the 90% of the people who visit this blog), my name is Jaxinto and I´m a very proud mexican gay illustrator. 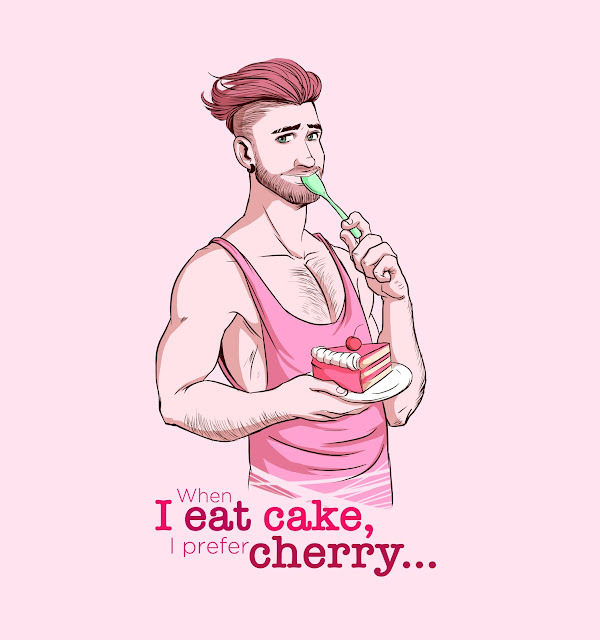 My english is not the best, I know... but I decide to try to write in english so people from other countries can understand more about my art and me. Like I said, I watched my stats and I can see you keep coming to visit me and I´m very happy for all your support. I´ll be working for give you the best of me and my art. And for you that you leave comments I´m so sorry, It was so rude of me to not answear your kindly words, so please forgive me, and please, don´t hesitate to leave me some lines! With all my love from my mexican gay heart! I´m a Mexican illustrator, comic artist and graphic designer living, working and dreaming in Mérida, México. 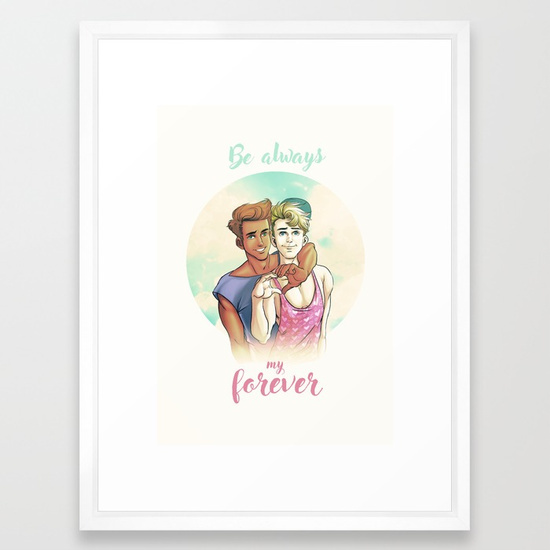 Most of my work depicts gay themed. I like to say that my style is a mixture between japanese manga and american comics, I enjoy both. Currently I'm open for commissions.